Spot LNG prices in Asia remained firm across the mid-August to mid-September period. Against a background of continuing strong demand, unexpected global production outages decreased supply and new plant starts remained delayed. The utilities in Japan, in particular, were heard looking for cargoes to replenish stocks run down by the high-power generation rates required to fuel air-conditioning during the country’s summer heatwave. 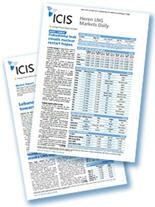 ICIS LNG data includes prices for East Asia (EAX), Northwest Europe (NEX) and South America (SAX). The ICIS East Asia Index (EAX) for October rose from $11.25/MMBtu at the start of the period to a high of $11.85/MMBtu before dipping to $11.30/MMBtu at the end – to average $11.527/MMBtu. That was up 16% on the month and 82% on the same period a year ago. Stronger crude oil prices affected long-term, oil-linked contracts and China’s continued demand growth spurred the year-on-year gain. China’s January to August 2018 imports of 32.6m tonnes was up 49% on the same period in the previous year. China’s January-August demand was up 49% on the year, according to LNG Edge cargo-tracking. Gas prices in northwest Europe were driven higher during the period by North Sea outages and a bullish market for carbon dioxide emission allowances, which climbed to a ten-year high of €25/tCO2e. In Europe, strong carbon prices would normally encourage fuel switching from coal-power to gas-power, but with gas in short supply, the market reacted with higher prices to limit the amount of extra gas demand. ICIS Power Perspective offers in-depth analysis of power and carbon markets. The Northwest Europe Index (NEX), which includes the UK’s NBP and the Netherlands’ TTF gas markets, averaged $8.663/MMBtu over the period. The NEX narrowed its discount to the EAX from $3.56/MMBtu at the start of the period to $2.39/MMBtu at the end. 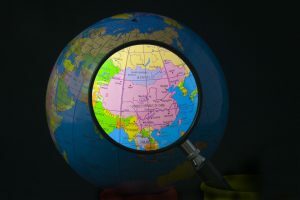 The tighter spread between Europe and Asia could still permit reloads from Europe to China and Japan, but they no longer look as profitable, and if Europe continues to gain, Asia might have to move higher to retain its supply. A number of unexpected production outages impacted supply during the period. Russia’s east coast, 11m tonne/year Sakhalin 2 project was the most serious and was out for around three weeks until its return on 8-9 September. The US Sabine Pass project had briefer outages, first on the 4.5mtpa second train in late August, and then on the 4.5mtpa fourth train in September. 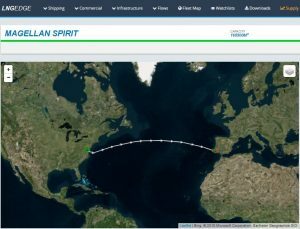 The 5.25mtpa US Cove Point facility also suffered a couple of trips, but achieved its first delivery to southern Europe, when the 166,000cbm Magellan Spirit arrived in Portugal on 3 September. LNG Edge shows the US Cove Point plant send its first cargo for southern Europe to Portugal. There were also planned maintenances underway, including a two-week post-start-up outage at the 4.5mtpa second train at Australia’s Wheatstone project in August, and at the 3.3mtpa Atlantic LNG 2 in Trinidad and Tobago in September. Elsewhere, the new Ichthys and Prelude floating LNG projects installed off the coast of Australia have yet to produce any LNG export cargoes for the market, with the industry eagerly awaiting news of their progress. On the demand side, China’s increased consumption as it switches away from coal-fired generation, has been partly offset by improved nuclear availability in Japan and South Korea. Japan’s 890 MW Sendai 2 and 870 MW Takahama 4 reactors have come back online, with another 870 MW Takahama unit potentially to follow before the end of the year. Bangladesh’s Petrobangla is expected to start receiving cargoes under its long-term contract with Qatargas from mid-September onwards at the country’s new terminal at Moheshkhali. Spain’s Repsol inked a 20-year agreement for 1mtpa of LNG from 2022 onwards from US developer Venture Global’s proposed 10.8mtpa Calcasieu Pass project, which is due for a final investment decision in 2019. Global trading company Vitol has arranged a 15-year deal for 0.7mtpa from US producer Cheniere, starting with immediate effect. In the largest deal, China’s PetroChina has announced a contract for 3.4mtpa of supply for 22 years from Qatar’s Qatargas, also with an immediate start. Such a large deal would have been under negotiation before the early August announcement that China planned to impose 25% tariffs on US LNG imports, so is not a direct reaction to that policy. Nevertheless, the contract will help underpin Qatar’s plan to expand its production by 30% from 77mtpa to 100mtpa by 2023, while the developers of new US LNG export projects must be hoping that the US-China trade war will cool soon to help them win more of the long-term deals they need to secure final investment decisions.